An API generally doesn't want to restrict a request's origin. However, some things don't work well with Access-Control-Allow-Origin: *. So, the way around that is to just mirror back the Origin that a client sends. This apache config sets Access-Control-Allow-* headers when it receives an Origin header from a client, and mirrors the requested Origin back in the Access-Control-Allow-Origin header. This is almost certainly caused by placing the EC2 dynamic inventory script in you project's ./library directory. What's happening is that the dynamic inventory python script has the same name as the default EC2 module. Therefore, it overloads the default module at runtime. Put your dynamic inventory scripts in the root directory of your project to avoid this problem. Last week, the Republican Party of the United States exposed the personal voting information of 220 million registered voters on S3. Granting wide open permissions in S3 is a common occurrence in public cloud, and as an administrator I can attest to the fact that if you're not looking for it, you're almost certainly exposed in one area or another of your organization, and exploits are straightforward and well-known. 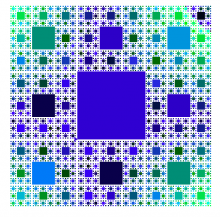 I couldn't sleep tonight so I took a challenge with Python to create some fractals in Turtle. I had fun coming up with the solution so I thought I'd blog about it here. Thank you, Dr. Ian Parberry, for your algorithms analysis class all those years ago. I use the techniques you taught me every day! I solved this problem in three steps. If you're going to successfully run complex pip deployments, you must deploy into this virtual environment as this user.